Magic world of princes that the world has recognized. I met Magic at the time of the 15-year-old, go devoted to the mysterious world. Then, it monopolized the domestic major title in just five years for the first time the magic, shining in technique department of the champion in the "FISM world magic convention", which is said to be the Olympic magic kingdom in 1994. Well-1995, was held in Germany, in the most prestigious in Europe "Magic Hands Convention", won the first Grand Prix as Asian. Starting with this award, it plays a overseas, to hone its skills repeated appearances around the world. The full-scale debut in Japan in 1997. Dinner shows and theater performances, we have been active in the center of the cruise show at the luxury liner. Called from the neat appearance as the "magic world of princes", guest-regular appearances to each TV program is also doing, you are expanding the playing field in many fields. 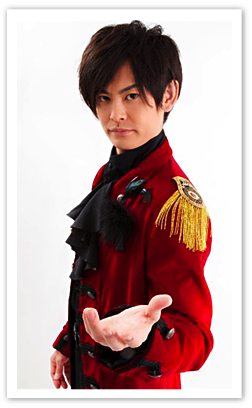 In recent years, in order to establish a new show style, stage a new sense that combines drama and magic, launching a "Doramaji (DRAMA & MAGIC)". And, such as play a TV drama starring as lead actor in 2014, in endureth no creative motivation of thing and passion, also will continue to challenge the new areas, with the aim of further evolution.